Join us Thursday, November 9th for a dinner event unique to Dr. Phillips. Food inspired by street food classics born in Tokyo, seasoned with the flavors of the deep South Southern Kitchen, and served with the purpose of strengthening our community. Join us for Tokyo Soul. Tokyo Soul is an exploration of Japanese classics interpreted through the soulful eye of Chef de Cuisine, Dequane Stobbs. To kick us off, the starters course will be plated individually, while in traditional Izakaya fashion, the mains and sides will all be served family style, encouraging you to make meaningful connections and conversation with your friends and neighbors. Beyond intense flavors, Izakaya and soul food are both built around community. 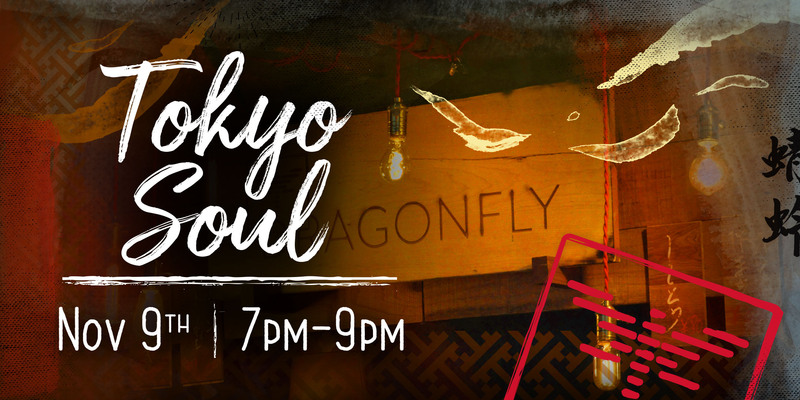 To celebrate and strengthen our commitment to community, we’re donating a portion of every Tokyo Soul Dinner ticket sold to the Second Harvest Food Bank of Central Florida. Adventure out of your norm, strengthen our community, and experience a dinner combination you never knew you needed—Japanese Street food with true Southern Soul! Visit us on Eventbrite or Facebook to get your tickets today! Next Post: Line Caught vs. Farm Raised?